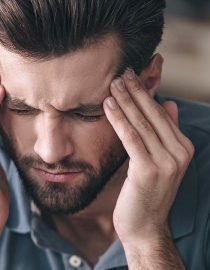 When it comes to alleviating the pain and symptoms associated with migraine, there are many avenues one can take. Treating migraine can be a very integrative process. In this article, we will talk about traditional pain relievers as well as natural ones most commonly used to treat migraine. Migraine medications fall into one of two categories – preventatives and abortives. There are numerous medications that have been used off-label as a preventative for migraine. Antihistamines are also commonly used to ease migraine symptoms. Histamine, a substance that dilates blood vessels and causes inflammation in the body (a similar response caused by migraine), is counteracted with the use of an antihistamine. Next page: Using essential oils for migraine relief.